Dull, Grim, looks like rain. 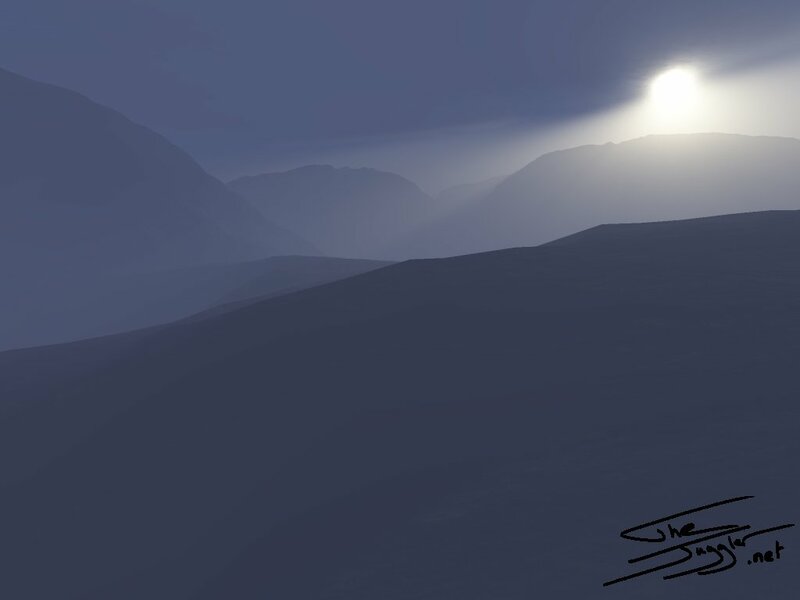 Terragen never fails to amaze me in just how good it's atmosphere effects are. Playing with the fog and haze seeings with a strong sun and loads of cloud cover gave this brilliant result.